NewsGator. Those of us who were using RSS readers in the middle of the past decade most likely think of desktop app FeedDemon for Windows or desktop/mobile app NetNewsWire for Mac when we hear the name. But the company has spent the last several years turning itself into an enterprise networking company that competes with Jive, Salesforce Chatter, Yammer and the many others out there. And it’s had its biggest year yet in 2011, chief executive JB Holston tells me, by steadily building up its business on top of a place you might not have thought of: Microsoft SharePoint. The results in 2011? NewsGator added one million new paid seats over the course of the year, on top of its existing two million. Those additions aren’t just from a few clients who went all in, Holston says, but from among the 300 companies using it now. 100 of them were new last year, he adds, including both the “Global 2000” corporate customers that normally it targets, as well as medium-sized businesses of 5,000 seats or less who decided to buy in. Having been founded in 2004, and having raised some $39.3 million in venture backing, the company has come a long way to being profitable and growing across its key metrics. How did the transition happen? Holston says that back in 2006, defense contractor Lockheed Martin had taken its enterprise RSS service, cobbled it together with SharePoint, Google search and some other features to create its own “Facebook for enterprise.” The SharePoint team at Microsoft noticed, and talked to NewsGator about building a fuller-fledged product line. NewsGator then went on to launch the first versions of its modern software suite at the Enterprise 2.0 conference in 2007, and has been expanding its business since then. 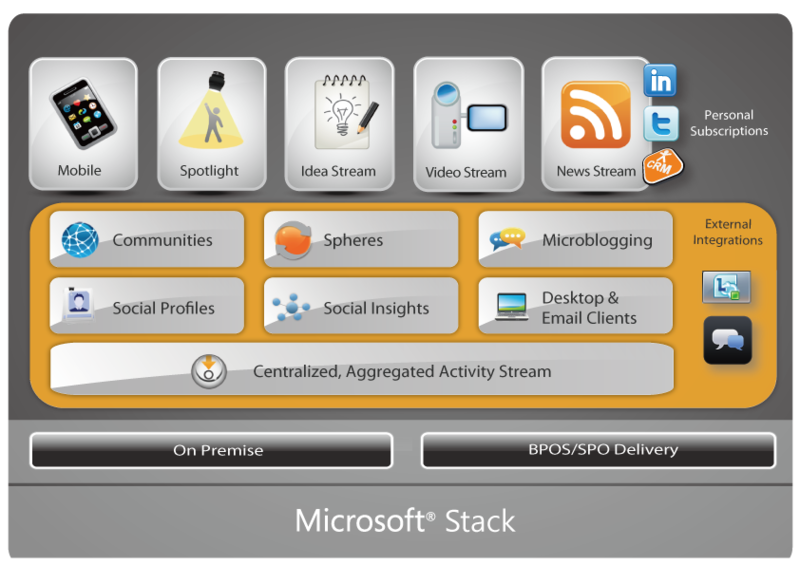 Today, the components for its marquee product line, Social Sites for Microsoft SharePoint 2010, include Microblogging, Activity Streams, Communities, Spheres, Social Profiles, Social Insights, as well as desktop and email clients, and integration with Microsofts Lync and Glassboard products. When I asked about the long-time plans for the company — say, an acquisition by Microsoft, or an IPO — he said that the plan for now is continuing to grow the company as its core business continues to take advantage of the current market.